Trevor has been in the Rural Service industry for over 39 years of which the majority has been specialising in Real Estate. 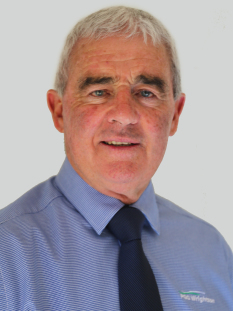 During his career he has achieved top awards nationally having successfully marketed and sold numerous properties including commercial/residential development land, lifestyle blocks, a range of mixed farming units, exclusive water front properties along with South Island wide iconic high-country stations. Residing in Wanaka and having historical family ties to the district dating back to 1859, Trevor has a wealth of knowledge of the Upper Clutha area. That’s why vendors and purchasers alike find that by contacting Trevor at the “first point of call” it gives them the opportunity all the facets that the real estate market in the Wanaka / Queenstown Lakes district has to offer. Trevor’s conscientious strengths within his network are his experience, contacts, communicating and negotiating skills as well as having the support and exposure from PGG Wrightson Real Estate - all serve him as someone you can depend on for a professional dedicated service, and a strong result! For all your real estate requirements please contact Trevor.